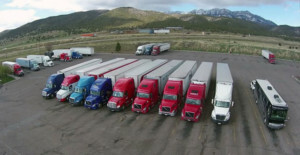 The shortage of available truck parking spots at public and private facilities along the National Highway System is expected to worsen as commercial vehicle traffic grows and thousands more drivers convert to electronic logging devices (ELDs) ahead of the Dec. 2017 enforcement deadline. According to analysis by Trucker Path, creators of the trip-planning app, 12 percent of truck parking locations along the NHS are empty during peak hours on weekdays from 11 pm to 4 am, and 24 percent have empty spots, for a total of 36 percent availability. 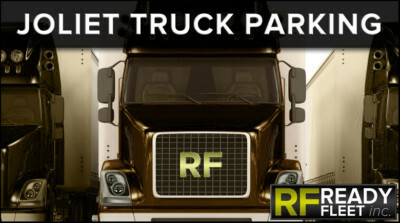 Trucker Path Pro has more than 400,000 active users that provide in excess of 136,000 weekly updates on parking locations. The company combines real-time updates from the crowdsourcing app with three years of historical data to predict availability at locations by day of week and time. The information has been verified as more than 90 percent accurate, it said in a press release. Trucker Path Pro also gives drivers ratings on truck stop locations along with turn-by-turn GPS navigation, fuel prices, and weigh station status (open or closed), among other tools.